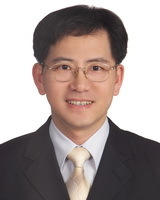 Hsien-Tang Wu has received his Ph.D. in 2006 from Department of Civil Engineering, National Cheng Kong University, Taiwan. He became a faculty member of the Department of Construction Engineering, Chaoyang University of Technology (CYUT), Taiwan from 2005. He was promoted as associate professor by CYUT in 2015. He has been awarded best advisor by CYUT in 2010 and awarded best teacher by CYUT in 2013. His research group is interested in the dispatching, scheduling, system analysis and system design and programming. Our research group is interested in the dispatching and scheduling. We use COST(Construction Simulation Operation Tool) as a tool for construction simulation. COST is a simulation program that was developed inherited CYCLONE(CYCLic Operation Network) theory by our research group. COST is to apply the Fuzzy set theory to replace probability distribution and enhance the domains of the simulation system models. We are also interested in system analysis, system design and programming.